Scared of failing the FTCE General Knowledge test and wasting hundreds of dollars to retake it, only to fail again? Don’t let their FTCE prep mistakes and exam failure be YOUR experience! Whether you’re taking the FTCE General Knowledge exam for the first time or the fifth time, make THIS the time you pass! FTCE General Knowledge #1: Stop Procrastinating! Begin Preparing For The GKE Today! Good teachers fail the FTCE General Knowledge test only to retake it and fail again and again. Admit that this Florida Teacher Certification Examination is high stakes. Admit that it is difficult. But DON’T let your fear of failure stop you from taking the steps that will help you to pass the FTCE GKE! Your first step is easy: go to the fl.nesinc site to skim the information available about the FTCE GKE. The Essay Subtest (825) allows 50 minutes for you to write 1 essay. The English Language Skills (ELS) Subtest (826) allows 40 minutes to answer 40 multiple choice questions. The Reading Subtest (827) allows 55 minutes to answer 40 multiple choice questions. The Mathematics Subtest (828) allows 1 hour & 40 minutes to answer 45 multiple choice questions. You may already be frustrated, wondering where to begin your preparation. Don’t give up! 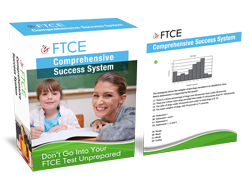 Here comes the secret to passing the FTCE GKE: you must dig deeply into the details of each of the 4 subtests to understand all 4 General Knowledge Exam subtests! Just because you have read through the Competencies tested by the FTCE General Knowledge doesn’t mean you understand the GKE! You MUST know your weak areas to pass the FTCE GKE. Which areas of the General Knowledge Exam do YOU need to review? The best way to begin is to know the details of each subtest and use those details to prepare for the GKE. As you carefully read each “Skill” that’s tested, highlight the skills that are your weakest. Have you ever been surprised by a low grade on an exam because you studied hours and thought you knew all the material? If that describes you, take the free FTCE General Knowledge practice tests offered on the fl.nesinc site. How well did you do on the skills you thought you knew? Use the FTCE General Knowledge practice questions and your list to find those weak areas. The actual number of FTCE General Knowledge questions for each Competency varies from 7-20. You can’t afford to ignore ANY of the Competencies, but it makes sense to focus on those with the highest number of questions on the Subtests. How should you focus your test preparation time? Choose FTCE General Knowledge practice exams, study guides, flashcards or other test-prep materials based on YOUR needs! Tip #3: Choose FTCE GKE Practice Test And Study Materials Made For YOU! You know the blueprint. You know your weak areas. Now read what research says about preparing for high-stakes tests like the Florida Teachers Certification Exam General Knowledge Exam. Not all test prep tools are equal. Use the research and your FTCE General Knowledge Exam Competency insight to choose study guides, practice tests or other study materials that suit YOUR needs. Tip #4: Use FTCE General Knowledge Practice And Prep Guides Wisely! Once you have your prep books, use research to get the most out of them! Remember that test-taking is a skill! Like many teacher candidates have already found out, you may know the material, but if you don’t know how to take the FCTE GKE, you may not pass! Tips #5: Plan To Pass The FTCE General Knowledge (GKE)! FTCE General Knowledge practice questions, study guides, flashcards or online videos can help you to pass the General Knowledge Exam if you follow Step 4. But there is one more thing YOU need to know to pass the Florida Teacher Certification Exam’s GKE. You need to know what passing means. A passing score is what you need. So what is that magic number? Each is listed below, along with the Competencies that have the highest percentage of questions. Essay: 8 out of 12 points. The two scorers’ six-point rubric scores must add up to 8! The English Language Skills (ELS) Subtest requires 70% or 28/40 correct answers. Conventions questions are half of the test! Study the rules and take the practice tests! The Reading Subtest requires 75% or 32/40 correct answers. Each Competency is nearly even, with 10 to 14 questions. The Mathematics Subtest requires 72% or 33/45 correct answers. Over 60% of the test is based on “algebraic thinking and the coordinate plane” and “probability, statistics, and data interpretation.” Make sure your study materials cover these Competencies! Give yourself the gift of time to follow these 5 Steps and YOU can pass the FTCE General Knowledge Exam!